In the process of learning CSS (Cascading Style Sheets), I have learnt that almost all websites are using this technology. I have read few books now and I still believe that I am slightly lost when it comes time to practically applying what I know from scratch. Since the past several months, I have been working as a freelancer. 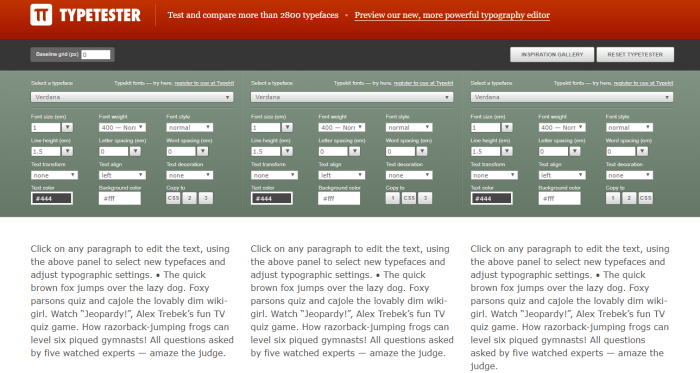 Typetester is an online application for comparison of the fonts for the screen. 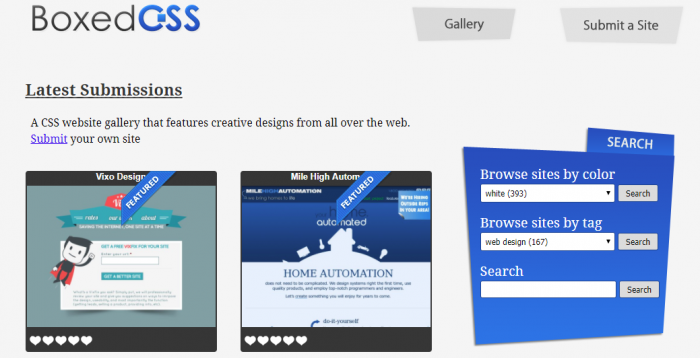 It’s primary role is to make web designer’s life easier. As the new fonts are bundled into operating systems, the list of the common fonts will be updated. The updated version of List-O-Matic makes it significantly convenient for users to style list-based structures, page navigation and manage other sections of the web pages. List-O-Matic gives you maximum options for customization by allowing users to choose their preferred layouts, menus and the basic display of the site. 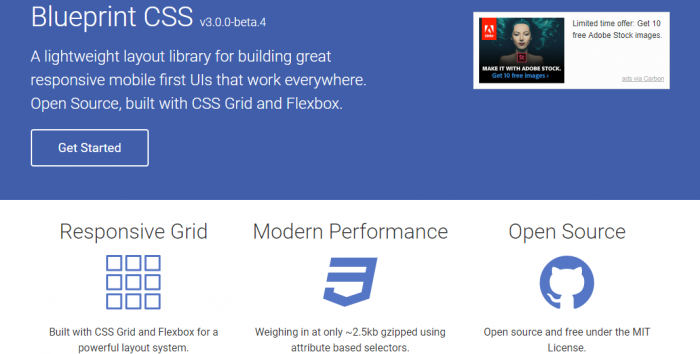 Free CSS Toolbox is a tool built to facilitate developers, designers and users when working with codes including style sheets and other formatting areas. The tool works efficiently and save users time when looking through software development. Boxed CSS, is a fully featured CSS gallery tool that offers users the services of developing and creating websites of all kinds. The gallery contains pre-installed designs to help you create websites that are unique in layouts and includes extensive margins, borders and content. Blueprint is a CSS-based source for creating sites. The tool provides lightweight and flexible layouts for the designing of websites that are aligned with CSS grids (12-column grid) and Flexbox. Blueprint is a responsive tool that which aims to cut down on your CSS development time. 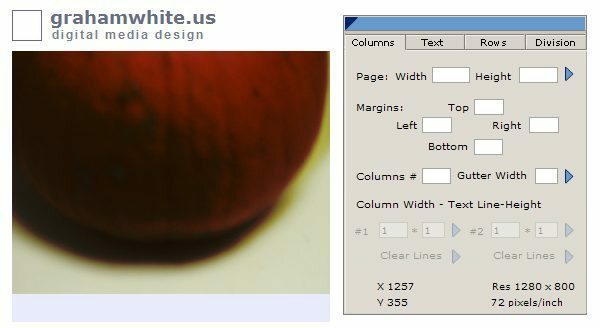 This generator will create a fluid or fixed width floated column layout, with up to 3 columns and with header and footer. Values can be specified in either pixels, EMS or percentages. Use the CSS Grid Calculator to quickly visualize page layout and draw grids in a variety of ways. You can easily build a calculator with a fully equipped CSS grid. Powerful CSS optimizer and formatter. Basically, it takes your CSS code and makes it cleaner and more concise. Further you can enhance and make your site more creative by applying beautiful designs to it. 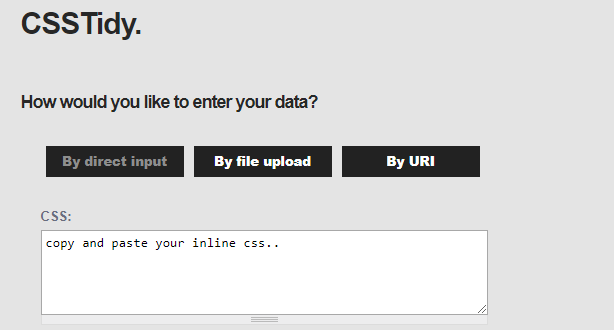 CSSTidy is an open source, CSS optimizer platform. The tool comes with open style sheets, HTML integrated and has the ability to fix and resolve issues regarding CSS compress codes. Check Cascading Style Sheets (CSS) and (X)HTML documents with style sheets. The tool is specifically efficient in calculating the markup validity of HTML, XHTML, SMIL, MathML etc. Making professional CSS menus simple, for the average webmaster. Main aim of the tool is to provide web developers and users a complete range of tools to create and design custom websites with CSS menus. CSS Sprites Generator is an authentic tool for uploading images. The simplicity of the tool lies in the clear and unique interface that is user friendly. You can simply upload the image and start working right away. The tool merges the knowledge behind CSS skills and coding to create enhanced designs for graphics, website designing and other properties. If you have your favorite CSS tool that’s not in the list? Drop it in comments.